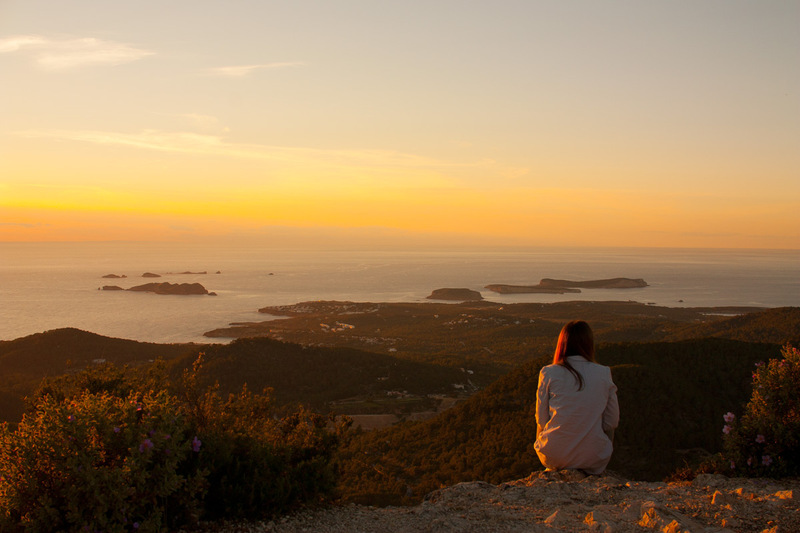 We’ve prepared for you a new walking route through one of the most iconic places in Sant Josep de Sa Talaia: To climb to the top of Sa Talaia, the highest mountain in Ibiza, with 475 meters, allowing us to enjoy the incredible views of the municipality and a big part of the island of Ibiza and the coast of Formentera. A highly recommended excursion on a nice and clear day. Recommendations: Sport shoes and clother and water. 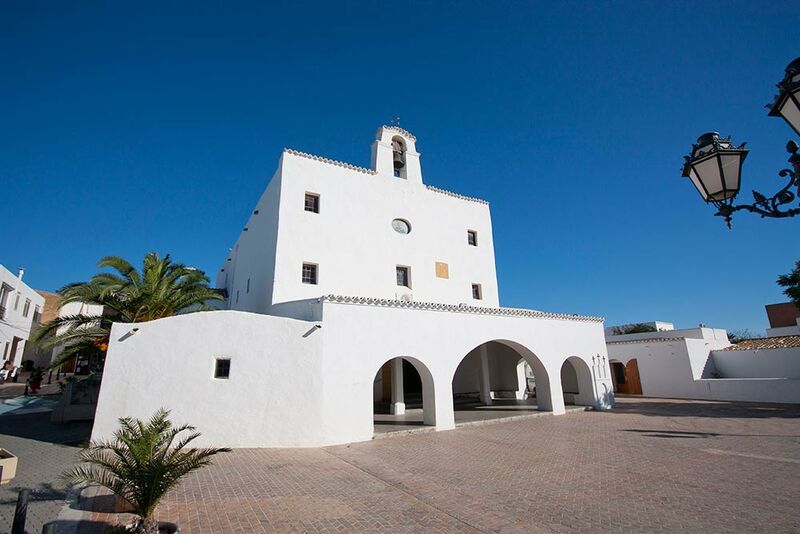 The route starts from the plaza in front of the church, then you take Sa Talaia street, passing in front of Can Jeroni, a cultural center that regularly shows art exhibitions in painting, sculpture and photography. Short after you go up the street it becomes a country path with native vegetation on both sides and a pine forest. 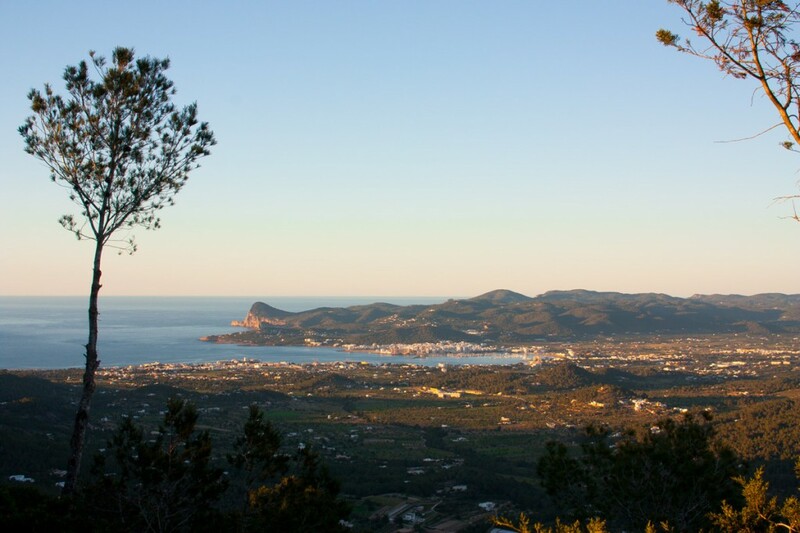 The trail is easily accessible and it goes along the foot of the surrounding mountains to Sa Talaia, enlivened by fabulous panoramic views, making the journey even more entertaining. 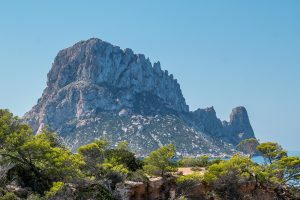 On a lucky day, there is a chance that you run into a “Jineta”, the most exotic mammal in Ibiza. They are very shy and elusive animals which are rarely seen. In the first stretch, these are the views that you can enjoy. A beautiful landscape, traditional Ibicenco rustic houses scattered throughout mountain terraces formed by stone walls, tilled fields and forests. 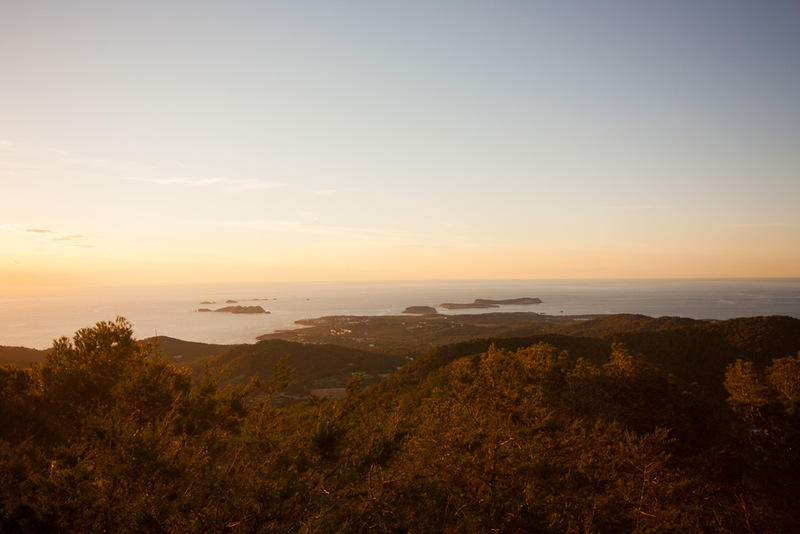 We walk up to the top, where we’ll find two amazing viewpoints from where you can see a large part of the island and where you can take the best pictures. 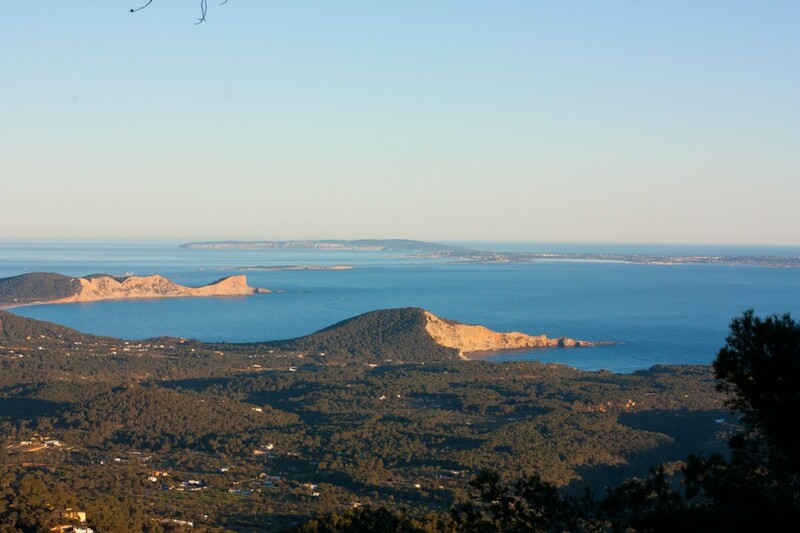 If you stand next to the antenna and look north you’ll be able to see: The Bay of Sant Antoni, the contour of the town of Sant Antoni, the Cap Nonó mountain and the tourist area of ​​Cala de Bou and Port des Torrent. The best time is in the evening when you can see a really nice sunset. 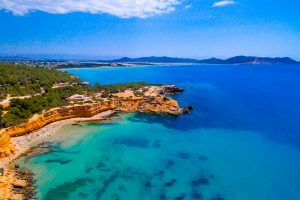 As well, if you look south, you can view the stunning bay of Porroig, Cala Jondal and the coast of the island of Formentera in the background. Just amazing! 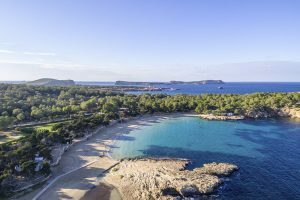 If you want to enjoy other views, you have to return to the main track, leaving the antenna behind you and next the esplanade (parking lot) you’ll see a small path that goes up a small mound where you can enjoy the most breathtaking views of the west coast of Sant Josep: From the beach of Cala Bassa to the beach of Platges Comte, and also spot the “Illots de Ponent” Natural Reserve. Simply beautiful! On a really clear day you can even see the coast of mainland Spain.